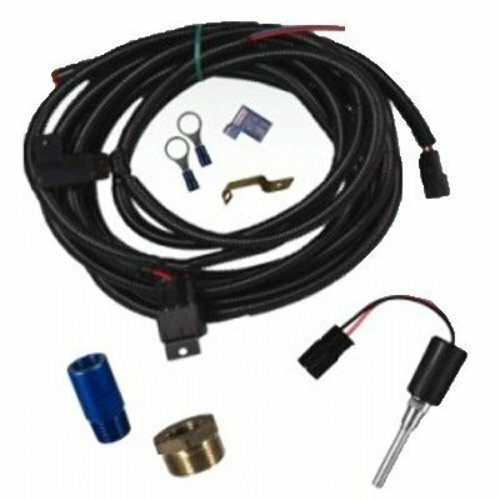 FASS Electric Heater Kit - HD, Titanium & Platinum Series HK-1001 We, at FASS Fuel Systems, have over 19 years experience in building the ?Quietest? highest quality Fuel Air Separation Systems and electric diesel fuel pumps available worldwide. It is this experience that has lead us to use a Gerotor specific fuel pump. Our success in the class 8 truck market has been above the rest. Our pumps typically last at least 700,000+ miles and our confidence is evident in our warranty. We offer warranties from 4 years on semi?s up to a lifetime warranty on pickup?s applications! 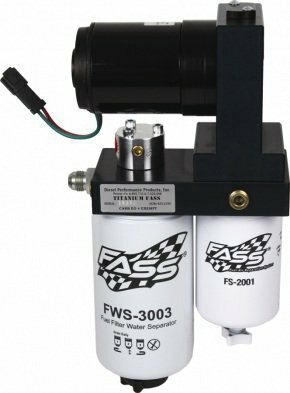 FASS HD Series EM-1001 w/.625 gear RPHD-1001 We, at FASS Fuel Systems, have over 19 years experience in building the ?Quietest? highest quality Fuel Air Separation Systems and electric diesel fuel pumps available worldwide. It is this experience that has lead us to use a Gerotor specific fuel pump. Our success in the class 8 truck market has been above the rest. Our pumps typically last at least 700,000+ miles and our confidence is evident in our warranty. We offer warranties from 4 years on semi?s up to a lifetime warranty on pickup?s applications! 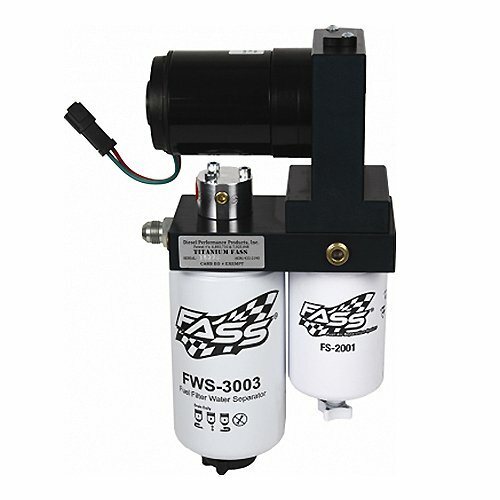 FASS HD Series EM-1001 w/.335 gear RPHD-1002 We, at FASS Fuel Systems, have over 19 years experience in building the ?Quietest? highest quality Fuel Air Separation Systems and electric diesel fuel pumps available worldwide. It is this experience that has lead us to use a Gerotor specific fuel pump. Our success in the class 8 truck market has been above the rest. Our pumps typically last at least 700,000+ miles and our confidence is evident in our warranty. We offer warranties from 4 years on semi?s up to a lifetime warranty on pickup?s applications! 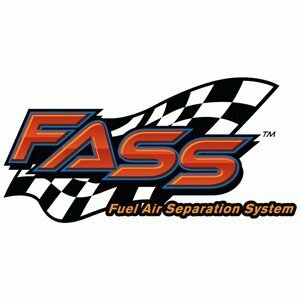 FASS Fuel Air Separation System - Titanium Series: The Titanium Series Fuel Air Separation System uses the same blueprint as our HD Series just in a smaller package. It is designed for the pickup while utilizing all the best features of the HD series. Built into a smaller compact version, the Titanium Series offers flow rates up to 260gph. This size difference allows you to tuck the pump closer to the frame for better clearance and less visibility without sacrificing any of the features known to FASS systems. The same motor used on the HD Series (class 8 applications) is also used on our Titanium Series, proving once again that quality is #1 at FASS. 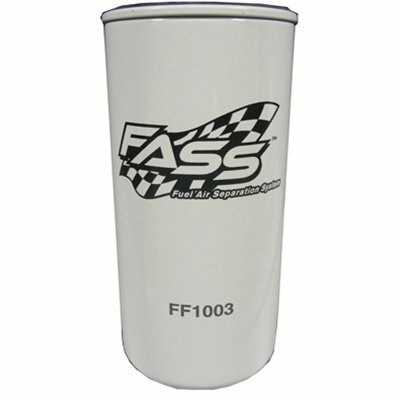 FASS Filter HD Fuel Filter - 3 Micron FF-1003 We, at FASS Fuel Systems, have over 19 years experience in building the ?Quietest? highest quality Fuel Air Separation Systems and electric diesel fuel pumps available worldwide. It is this experience that has lead us to use a Gerotor specific fuel pump. Our success in the class 8 truck market has been above the rest. Our pumps typically last at least 700,000+ miles and our confidence is evident in our warranty. We offer warranties from 4 years on semi?s up to a lifetime warranty on pickup?s applications!